The team found, briefly put, that due to an extremely hot, bright early stellar phase, all seven of the star’s worlds may have evolved like Venus, with any early oceans they may have had evaporating and leaving dense, uninhabitable atmospheres. 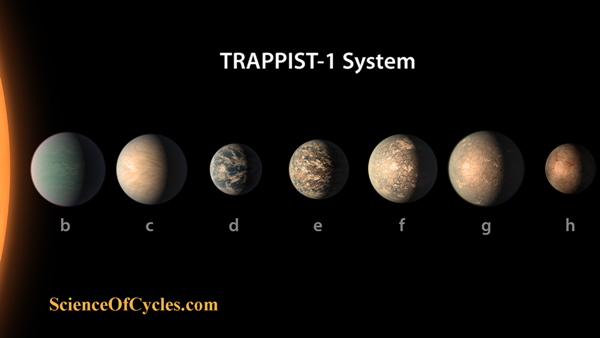 However, one planet, TRAPPIST-1 e, could be an Earth-like ocean world worth further study, as previous research also has indicated. Combining terrestrial climate modeling with photo-chemistry models, the researchers simulated environmental states for each of TRAPPIST-1’s worlds.